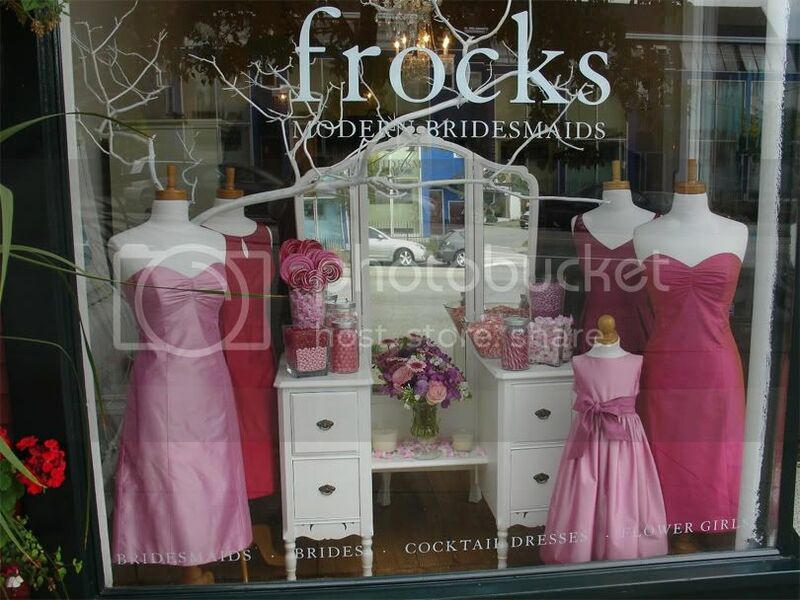 I posted about my love for Frocks earlier this summer, but yesterday the Frock ladies posted their current window display and I am smitten with its gorgeousness. It's refreshing to see unique windows - oftentimes there are SO many gowns squished into a display, I cannot focus on anything at all. 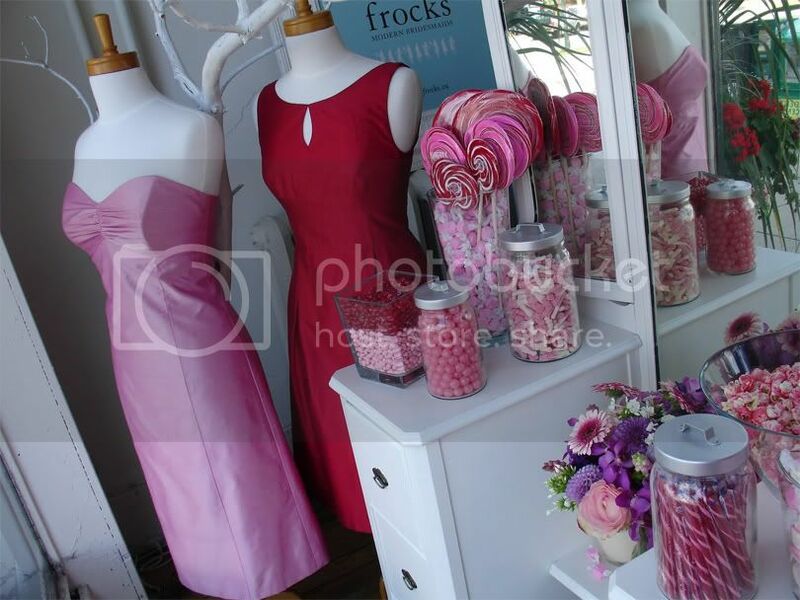 This one would makes me do a double take and definitely pop in to see what else was in store. Ooooh so pretty...I love the two darker ones best! One of the best window displays I have seen in a while. Makes me just want to sit there and stare!